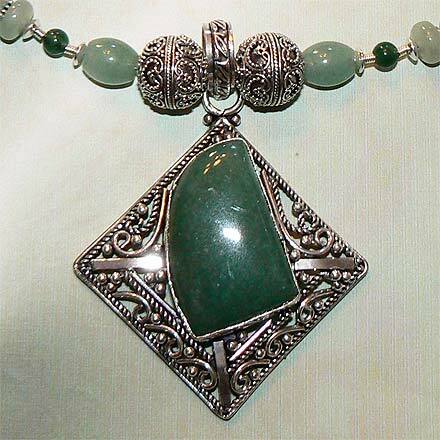 Sterling Silver Green Aventurine Necklace. See Closeup. 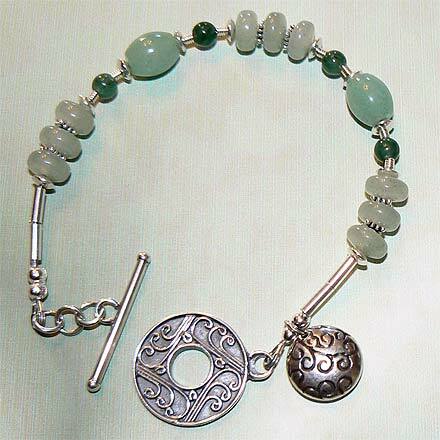 Sterling Silver Green Aventurine Bracelet. 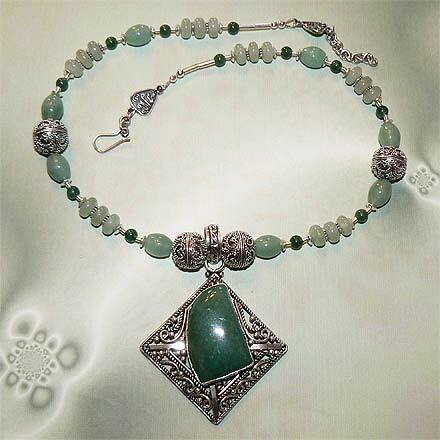 An ornate setting surrounds this pendant, along with Bali beads and the loveliest color of green Aventurine. The necklace has an adjustable Art Nouveau spiral-design style clasp. The spiral motif is also echoed in the bracelet's toggle clasp and cute little charm dangle.